I know I haven’t been posting much on this blog, not much has been happening. Feel free to add me on Facebook if you want more regular updates, I post little things there quite a bit. And cute dog pictures way too often. I’m continuing with the Navelbine as my last scans were stable. I don’t feel like I know for sure what the side effects are because other stuff has been going on. I had horrible jaw pain that turned out to be a tooth that needed a root canal. I’ve had bad fatigue, but was down with a cold and then the flu. My trip to Cannon Beach I had been SO looking forward to turned out to be a bust as I got the flu my second day there. I’m hopeful to be on the mend and back to regular life. And that regular life includes a ton of dogs. So cute!!! 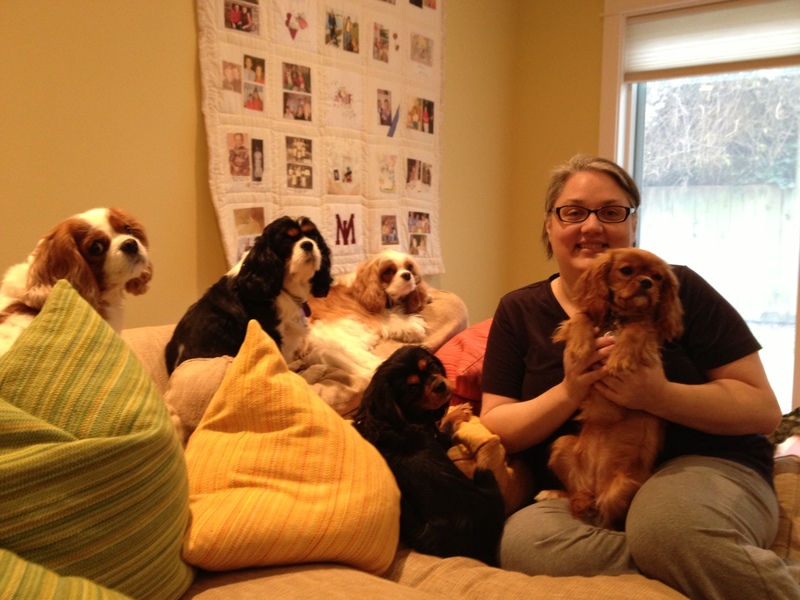 This is from today, with Allie, Christie, Finnegan, Metta, and Piper. Next postI need your help! They are all so cute, I don’t know how you figure out who’s turn it is to get attention. I love the sound of a regular life for you. The dogs are the best therapy ever! Gary and I still talk about getting one. Rest up now so you can plan some place to go. I would say here but it is damn cold.